Bit of an oddball question, recently moved to Auckland and finally have a bit more time & money to be spending on my '89 735. 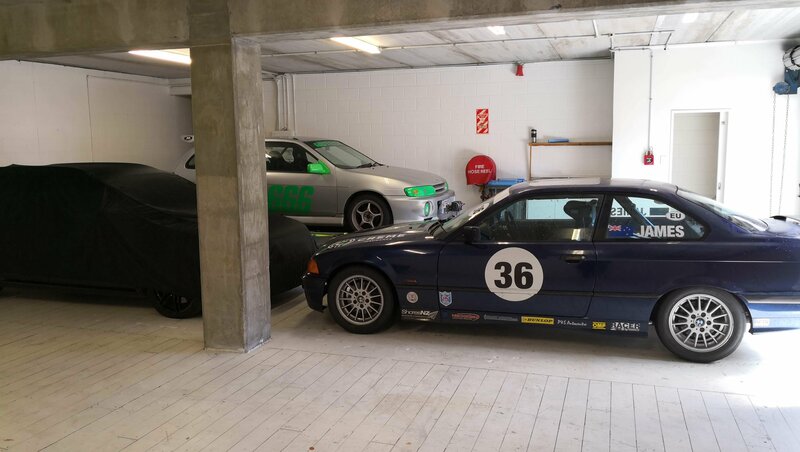 Unfortunately the place I'm renting lacks a garage or any form of secure area for me to work on my E32 (needs a bit of a rebuild). Are there any people/places in Auckland where one can rent a garage or workshop space for a month so? I tried trademe and a few classifieds but no luck. Doesn't need to be a fancy space, just enough to pull an engine, strip the head and put it back together without getting caught in the rain. A few years ago some friends of mine rented a workshop/warehouse in Whakatane - about 6 of them worked on their cars there, of course the rent was so cheap I think it only cost them about $65 a week each incl commercial insurance. Looked at that as an option but the going rates seem like it would be expensive in Auckland. Mac, you've abandoned us in Vellington? I'd be keen to try to sort something out too. The shop suggested on the other page, when I last contacted them about 2 months ago had closed down but maybe they reopened? Not a abandoned, just on "Holiday" - Can't stand the parking situation here, no free parking on weekends! Really need to buy another motorbike too, shouldn't have sold mine. Cheers for the heads up Olaf, seems that sadly that business shut down. I'll keep my eye out for a friendly garage who might rent me some space in their shop. Only thing that makes it difficult is I wouldn't get more than two days off in a row meaning I'd have to take up space in their shop whilst waiting on parts/machine work - would probably be too much of cost to the business. Worth a shot though. Cheers Bronze, I'll check that out too. Regulations aside I have my doubts about any commercial shop being willing to let a stranger work on vehicles in their business, I don't even trust my neighbor with my socket set on the weekend let alone a fully equipped shop. I definitely wasn't expecting any business to open their doors for me. Thanks for the PM's though guys - some really helpful stuff there All things going well I might be opening a build thread soon. Was going to say exactly the same thing. Hey, I was just wondering if you found a workshop to work on your vehicle? It's been ages since I visited the forum (sorry). Hi to all the guys I've missed - Dave, Jules, Martin, Kyu, Jayden etc. :-) I'll have to check if the coffee meetings are still a thing! Anyways... 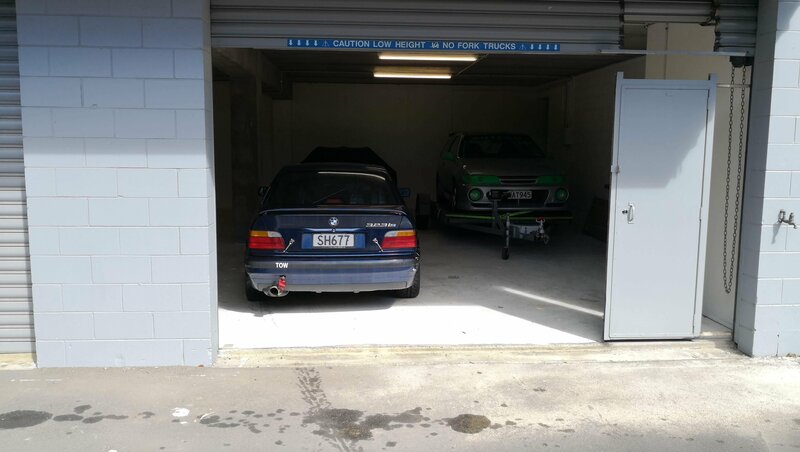 I'm currently leasing a garage space in Onehunga to store and work on my (and mates') cars. There is space for 8 and there are two free. 24hr access and it's secure. It's fairly cosy when all the cars are in, but we shuffle things around according to need. There are two outdoor spots too which helps free up space when we need it. Ceiling is high enough for an engine crane, but probably not a permanently installed hoist (although we're looking into it). No problems with making a bit of mess on the floor, as long as it's cleaned up afterwards. I've attached a couple of photos. Cost is $85/wk, or $45/wk for one of the outdoor spaces. If you're interested (or know someone who is) please PM me.